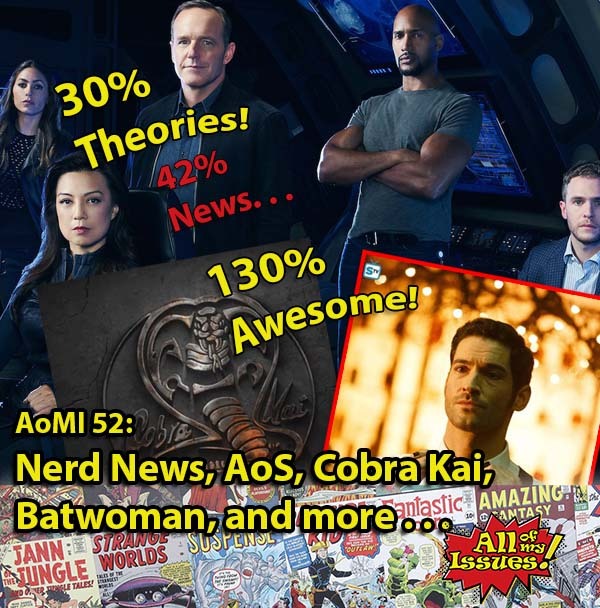 AoMI 52- Nerd News, Agents of Shield, Lucifer, Arrow, and more – All of My Issues! In episode 52 of AoMI, we talk nerd news. We provide theories and opinions on this season of Agents of Shield. We talk about the cancellation of Lucifer. There are even mentions of a certain emerald clad archer getting a sweet facial hair upgrade. Last, but not least, we talk about the new YouTube Red show, Cobra Kai.